CLEAN CARFAX!, 17" Aluminum Alloy Wheels, 6 Speakers, Air Conditioning, AM/FM radio: SiriusXM, Navigation System w/5" Color Touch Screen Display, Power moonroof, Security system. Cayenne Red 27/32 City/Highway MPG "Proving there's a better way" - Katy Nissan. CLEAN CARFAX-ONE OWNER!, Rogue SV, 2.5L I4 DOHC 16V, CVT. Super Black Odometer is 2562 miles below market average! 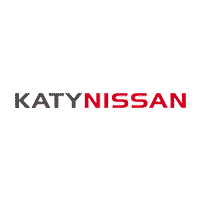 23/28 City/Highway MPG "Proving there's a better way" - Katy Nissan. CLEAN CARFAX-ONE OWNER!, Lucerne CXL, 3.9L V6 SFI Flex Fuel, cashmere Leather. Sand / Beige Metallic Odometer is 1058 miles below market average! 17/26 City/Highway MPG Awards: * 2010 KBB.com 10 Most Comfortable Cars Under $30,000 "Proving there's a better way" - Katy Nissan. CLEAN CARFAX-ONE OWNER!, Sorento LX, 2.4L I4 DOHC Dual CVVT. Ebony Black 21/29 City/Highway MPG Awards: * 2011 KBB.com Top 10 Family Cars "Proving there's a better way" - Katy Nissan.